Social Innovation Lab initiated a concept wherein students become bloggers for the Society 3.0 Magazine and cover the World Forum for Democracy this november in Strasbourg.The forum investigates the latest developments on democracy. As they put it ‘Rewiring democracy: reconnecting democratic institutions and citizens in the information age’ Read on for a short impression of the project. Society 3.0. is promoting the transition to a new type of society that is characterized by participatory forms of democracy, global citizenship, sharing instead of ownership, and freedom of information. The society supports innovative and sustainable ideas that are linked to the topics mentioned before. Society 3.0 Magazine covered the World Forum for Democracy 2013 and its outcomes starring international students from the Windesheim Honours College as reporters. They wrote about what democracy can be in the era of society 3.0, focused on frontrunners and great practices. Coverage included short stories, news clips and in-depth interviews. The project was a co-creation of the World Forum for Democracy, Society 3.0, the Windesheim Honours College and the Social Innovation Lab partnering up to investigate the changing paradigm of democracy and get the message across to an international public. Update: You can find all the 2013 articles, interviews and video-blogs at Society 3.0. Update: The World Forum for Democracy 2014 was dedicated to the theme ‘Can youth revitalize democracy’. 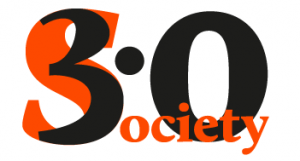 You can find all the articles, interviews and video-blogs at Society 3.0. Update: The World Forum for Democracy 2015 was dedicated to the theme ‘Freedom vs control: the democratic response’ Strasbourg, 18-20 November 2015.